Aeschines, orator and statesman of Athens, 390 or 389–14 BCE, became active in politics about 350. In 348 he was a member of a mission sent to the Peloponnese to stir up feeling against the growing power of king Philip of Macedon; but in 347, when part of a peace-making embassy to Philip, was won over to sympathy with the king, and became a supporter of the peace policy of the Athenian statesman Eubulus. On a second embassy in 346 to ratify a peace Aeschines’s delaying tactics caused the famous orator Demosthenes and Timarchus to accuse him of treason, a charge which he successfully rebutted in the strong extant speech Against Timarchus. 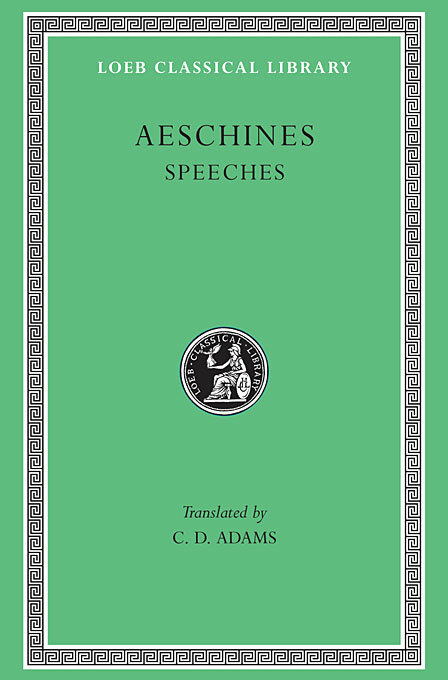 In 344–3, when Demosthenes accused him again in a speech, Aeschines replied in the fine extant speech having the same title On the False Embassy and was again acquitted. In 336, when Ctesiphon proposed that Demosthenes should be awarded a crown of gold for state service, Aeschines accused him of proposing something which would violate existing laws. At the trial Aeschines’s extant speech Against Ctesiphon was answered by Demosthenes in his masterpiece On the Crown. Aeschines, discredited, left Athens and set up a school of rhetoric at Rhodes. He died in Samos. 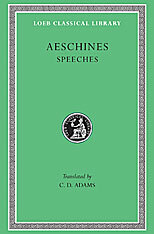 As examples of Greek oratory, the speeches of Aeschines rank next to those of Demosthenes, and are important documents for the study of Athenian diplomacy and inner politics.